Akshay Joshi from Aurangabad, B.E. - B.Tech Graduate. 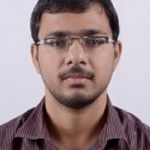 Akshay Joshi is THERMAL ENGINEER and currently have no work experience. THERMAL ANALYSIS THERMAL AND SOLAR PL.. THERMAL POWER PLANT .. THERMAL DESIGNING& C.. REFRIGERATION AND AI..
are one of expert skill area's of Akshay Joshi . Akshay Joshi is working in Power and Utilities industry.